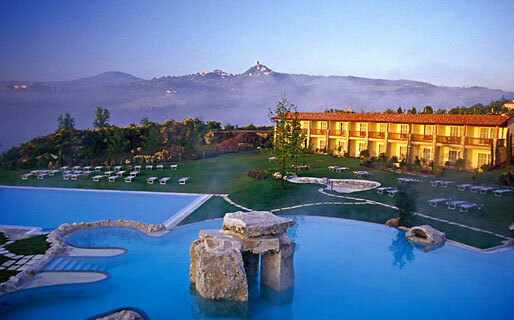 How to look good and feel fantastic, in the Orcia valley! 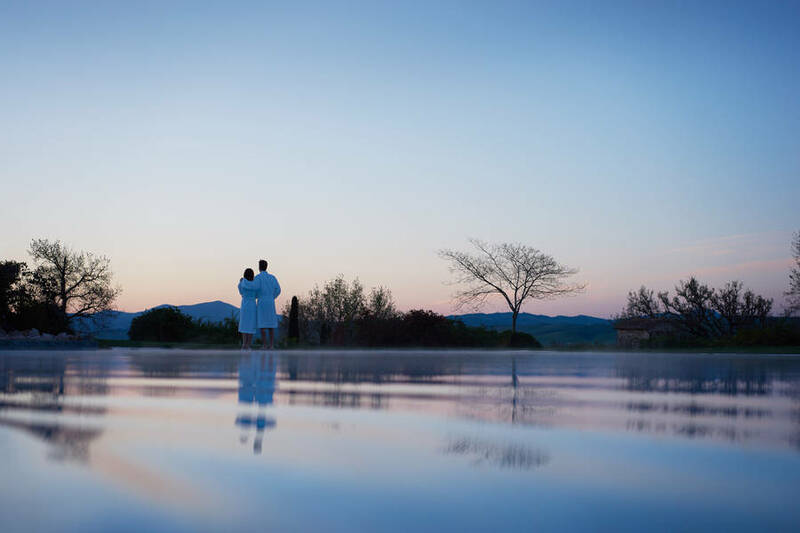 Located in the heart of the Orcia Valley, on the immediate outskirts of the ancient spa town of Bagno Vignoni, Adler Thermae Spa & Wellness Resort is the ideal place in which to spend a relaxing holiday enjoying the art, culture, cuisine and thermal waters of Tuscany! 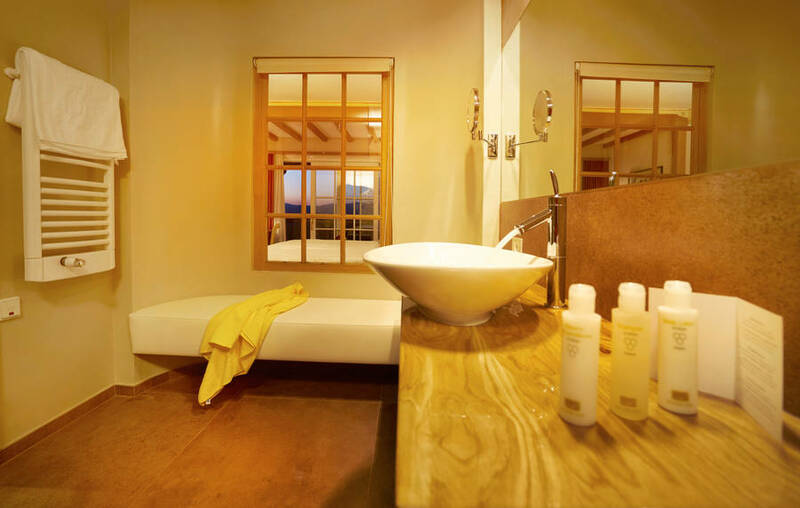 Adler Thermae provides five star accommodation in beautiful, bedrooms and family suites, designed to be comfortable, stylish and healthy, rooms are equipped with the latest in contemporary creature comforts including bio-acclimatization. 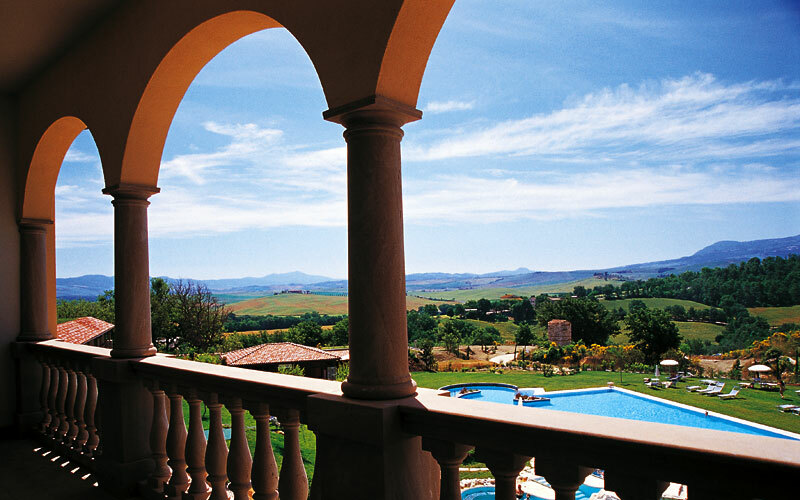 From the balconies and terraces of their rooms, guests enjoy magnificent of the Orcia valley. 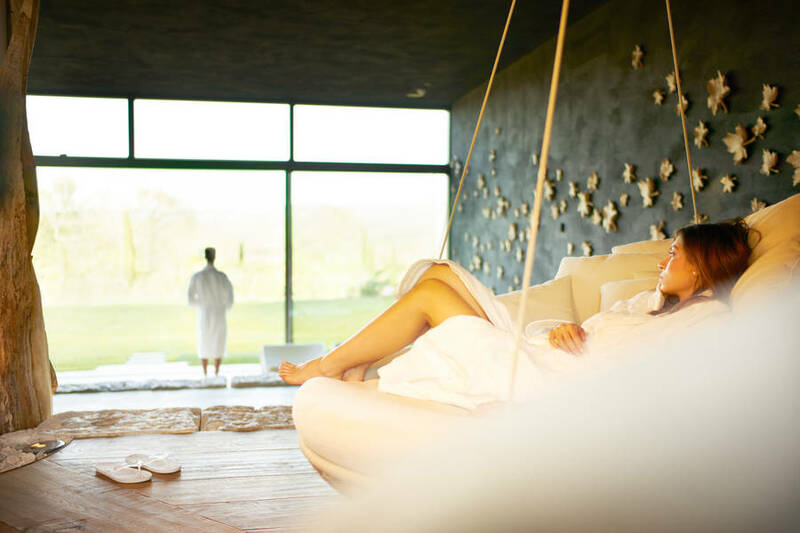 Inspired by Tuscany's ancient thermal tradition, Adler Thermae offers treatments using water, steam, mud and, of course, ... the expert hands of the spa's professional equip of beauty and massage therapists. 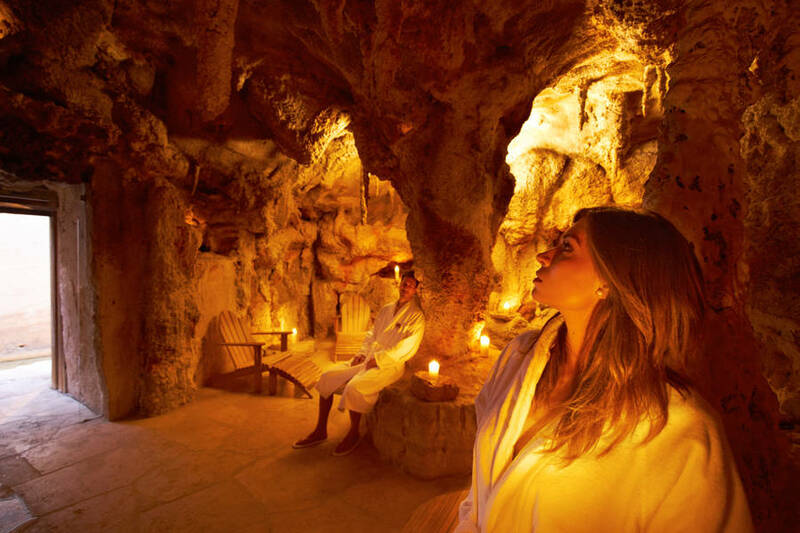 Special spa attractions include a Finnish sauna - on the lake, and an underground salt grotto, where guests float in waters the salt levels of which are similar to those found in the Dead Sea! 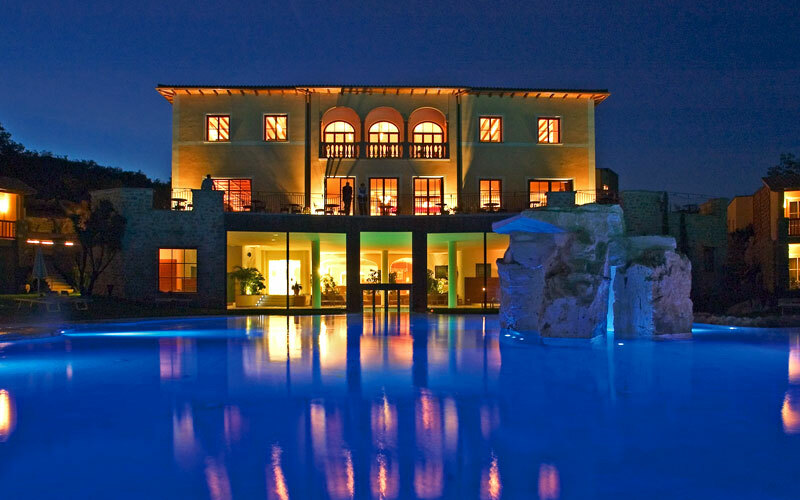 For fitness fans, there are a whole series of yoga, acqua gym and pilates classes. 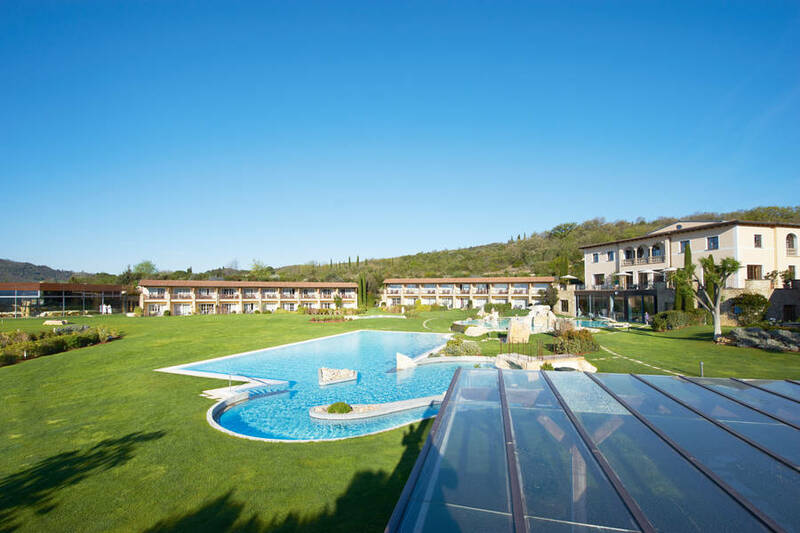 For lovers of the great outdoors, there's a fabulous 14km jogging (or walking) trail through the Tuscan countryside. Good food - which is good for you! 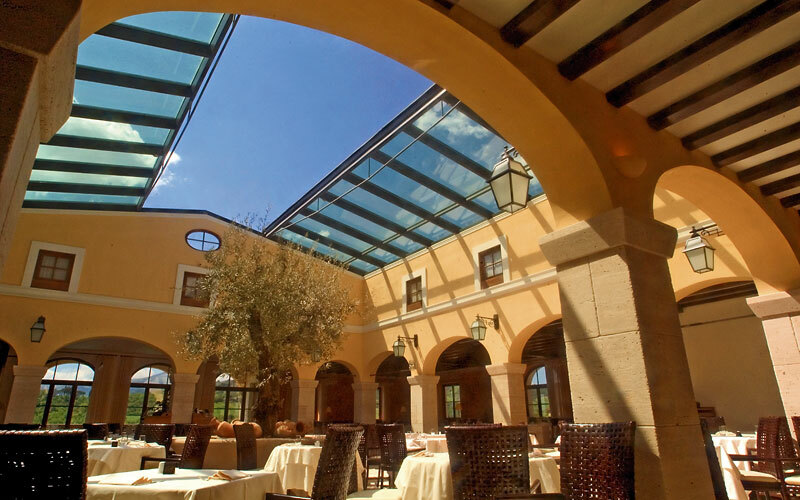 The finest Tuscan cuisine is served in the hotel's "Starlight Roof" restaurant, in the evenings. 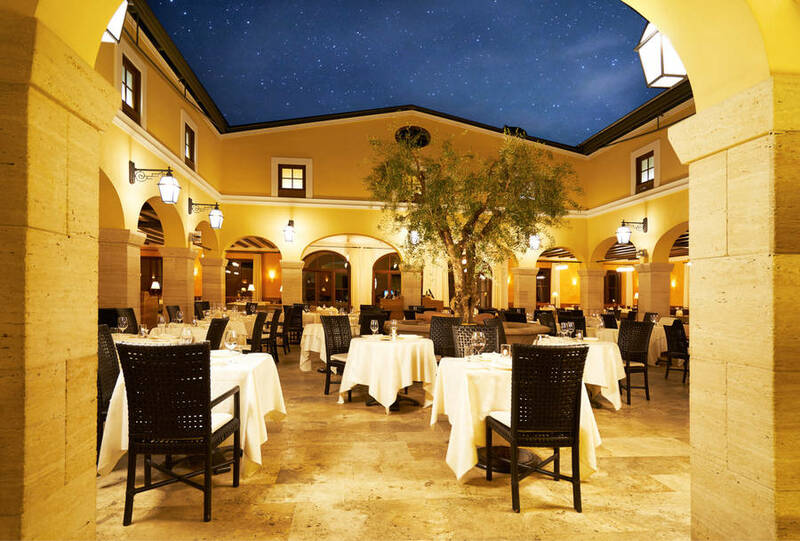 During the day, guests get to tuck into the legendary Adler Lunch: a fabulous buffet of exciting salads and grilled meat and fish, served in the Osteria. 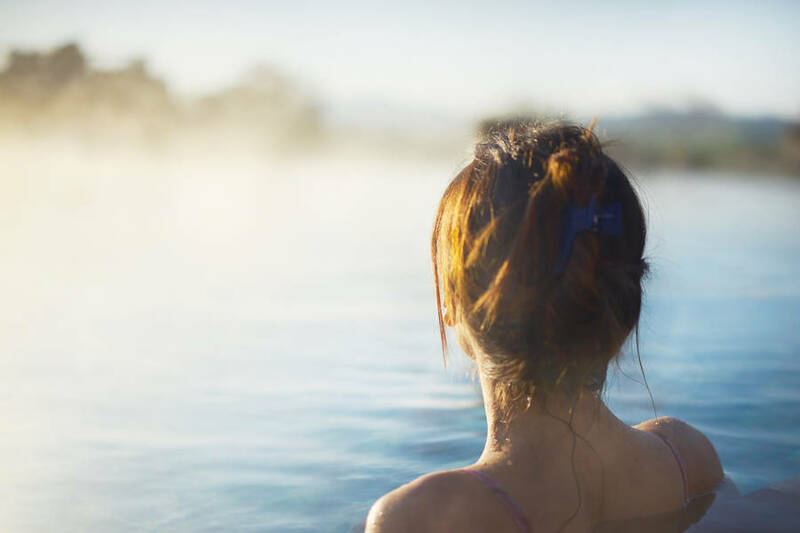 For those who need to watch their weight, the hotel's "Fitness & Health" menus feature an excellent selection of delicious dishes, all big in taste and low in calories. 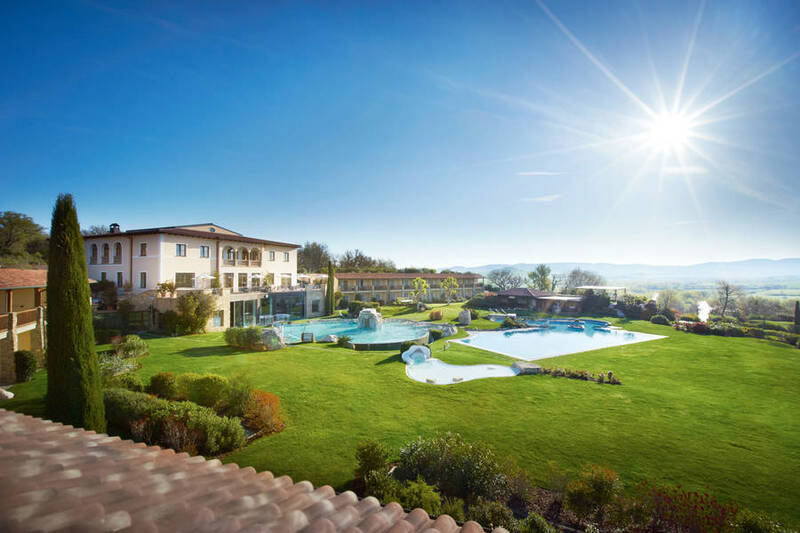 Adler Thermae Spa & Wellness Resort is a genuinely family friendly hotel, providing excellent facilities for children of all ages - both in an out of the bedroom. 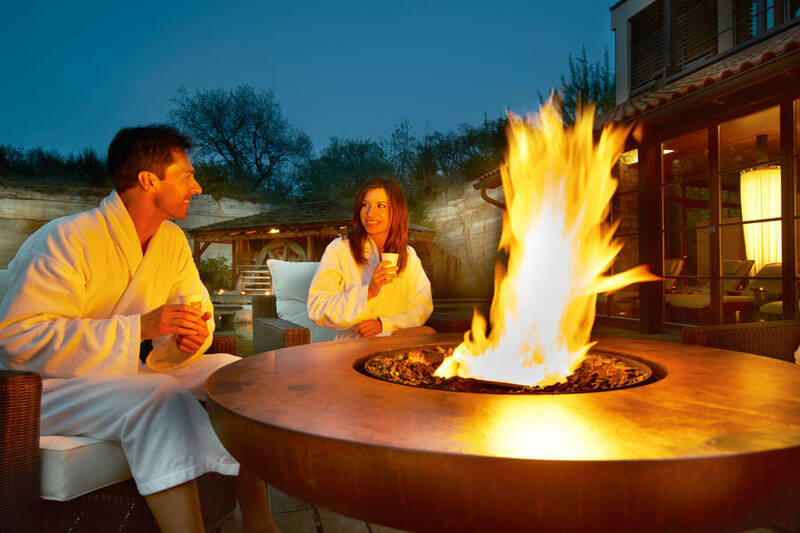 Younger guests will love the AKI kids club, which organizes a great range of fun activities, designed to keep them busy (and happy) whilst Mum and Dad are being pampered in the spa. In the last 30 days 144 people have visited this page. 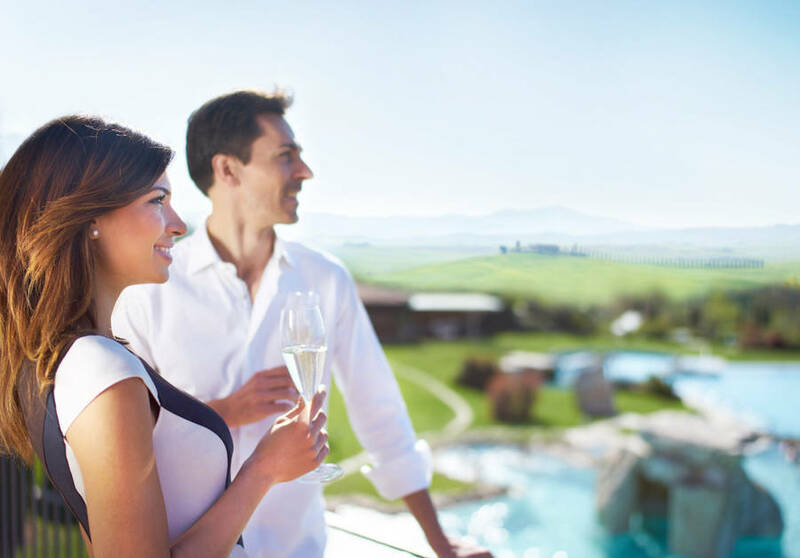 Adler Thermae Wellness & Spa Resort is situated in the heart of Val d'Orcia (Orcia Valley) a landscape of extraordinary beauty, between San Quirico, Pienza and the vineyards of Montepulciano and Montalcino.